Why would I need self storage in Milford, OH? There are a variety of reasons why you might need self-storage in Milford, OH. How much is a storage unit in Milford, OH? The cheapest storage unit in Milford, OH is $19.00 per month. What size storage units do you have available in Milford, OH? In Milford, OH we have sizes that range from 5'x5' to 20'x15' to suit your storage needs. How much is it for a 5'x5' storage unit in Milford, OH? The cheapest 5'x5' storage unit in Milford, OH is $19.00 per month. Milford is a small city in southwestern Ohio, spanning less than 4 miles but offering plenty of local amenities. It's part of the greater Cincinnati metro area and is located along the Little Miami River. 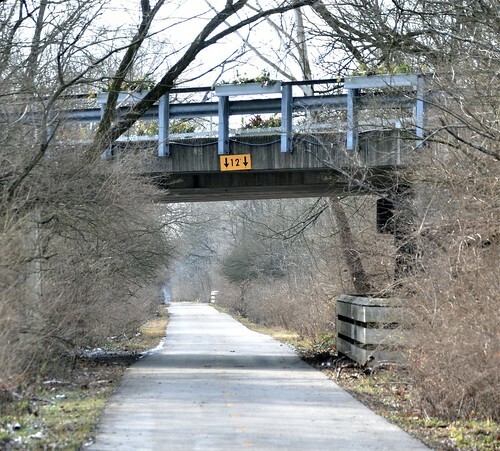 Milford is known as the convergence point of several of Ohio's major hiking and biking trails, including the Underground Railroad cycling route and the American Discovery Trail. The first settler to come to the Milford area was Reverend Francis McCormick. He was a Revolutionary War soldier who received a 1,000-acre land grant. Not only did he build his home in Milford, but he also founded the first Methodist class in the Northwest Territory. The original village was laid out with 46 lots, with streets parallel to and toward the river. Through the years, a water power mill, a grist mill and an oil mill were built in town, and Milford was officially incorporated in 1836. Milford offers plenty of attractive features, including a low crime rate, well-rated schools and many convenient amenities. The city has a variety of centrally-located health care facilities, and several colleges and universities are within a 20-mile radius. There are also many religious centers, offering services for people of many different faiths. Everyday conveniences like grocery stores, coffee shops and restaurants are easily accessible throughout Milford. Several parks in Milford, features recreational amenities like children's playgrounds, picnic areas and sports fields. The Milford Urban Trail System is an extensive network of trails that offers a unique tour of the city's historic and cultural highlights, whether you prefer to walk, bike or jog. Community events are a part of the Milford lifestyle, ranging from large holiday celebrations to small, weekend gatherings. The Milford Schools District manages the local preschool, elementary, middle and high schools. It typically ranks very high for academic performance and is often named among the top 10 in the Cincinnati area. There are a few private faith-based schools in Milford, most associated with local churches. Utilities: Major utilities providers in Milford include Duke Energy and the city's utilities department. Garbage and Recycling: You'll receive two disposal cans, one for trash and one for recyclables, for weekly curbside collection. Transportation: One of the primary public transit options in Milford is the Go Metro transportation network. Like many of Ohio's suburbs, Milford has a very affordable housing market. The median home price in Milford is well below the national average, and a variety of well-priced homes can be found throughout the community. There are also several new-construction neighborhoods in Milford. Our lowest priced units in Milford, OH average $19.00 per month. 52 people have reserved units in Milford, OH in the past 30 days. There is 1 location within Milford, OH's city limits.